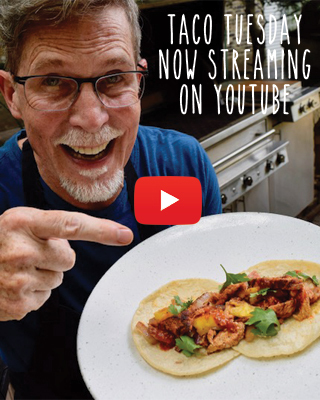 Rick Bayless | XOCO is Celebrating the Height of the Summer Season! This time of year, deliveries into XOCO from local farmers simply drive our chefs wild. Seriously, the look on their faces is amazing. Even better is what they do with all of those beautiful, fresh-from-the-farm fruit and vegetables. And therein lies the inspiration for our latest seasonal menu celebrating the height of the growing season. Let’s start with Chef Wil’s Summer Market torta, packed with roasted summer squash, local tomatoes, grilled onions, black beans and a big fat smear of fresh corn goat cheese. 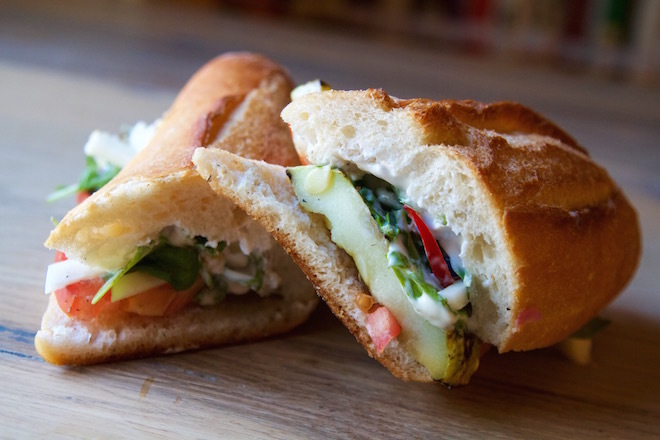 Kohlrabi and jalapeño offer a burst of freshness and crunch, while cilantro crema lends richness. 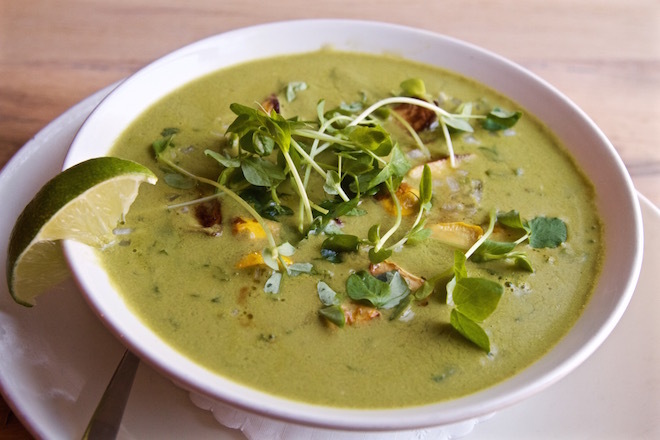 Chef Julio’s Green Molde Caldo, meanwhile, is a riot of bright, fresh green goodness. Did we mention there’s mole in the soup? That’s right, Julio’s — mole verde made with tomatillos, pepitas and poblano chiles — becomes part of the broth for the soup, which features Gunthorp Farms chicken, corn, patty pan squash, pea shoots and wild greens. 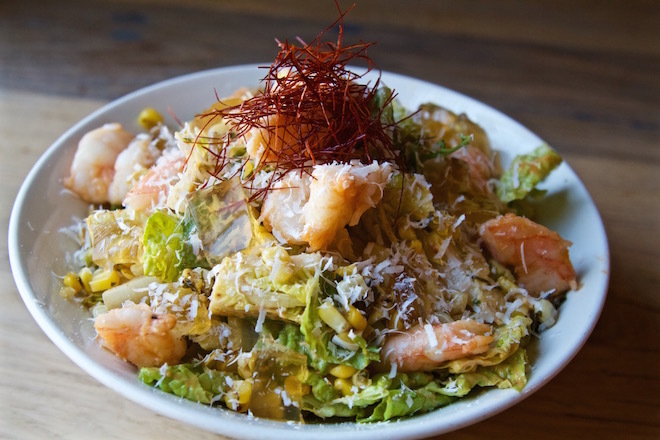 Chef Julio’s Shrimp & Corn Esquites Salad is another seasonal knockout. It’s made with shrimp, roasted corn esquites, chipotle aoili dressing and, our favorite, a corn broth “gelatina” that tastes like elotes made with Jello. On the sweet side — and there’s always a sweet side — Chef Wendy’s Creamy Horchata “Custard” is adorned with more summer seasonality: jamaica-poached local peaches, fresh blackberries and crunchy almond granola.